US Army Guide To Military Mountaineering | BUDK.com - Knives & Swords At The Lowest Prices! Mountains exist in almost every country in the world and almost every war has included some type of mountain operations. 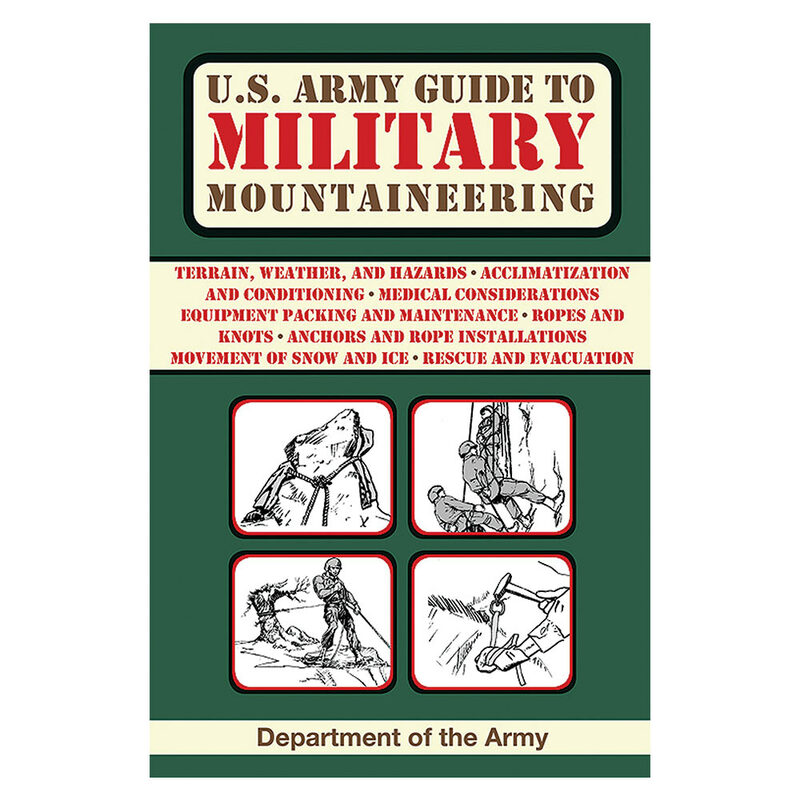 The U.S. Army Guide to Mountaineering details techniques soldiers and leaders must know to cope with mountainous terrain. These techniques are the foundation upon which the mountaineer must build. They must be applied to the various situations encountered to include river crossings, glaciers, snow-covered mountains, ice climbing, rock climbing, and urban vertical environments.